There is only one way to make a long-term reduction in crime; focus on the young people, especially those aged ten to eighteen. At that age, there a decent chance of turning them around. Infinitely better than trying to change adult criminals. 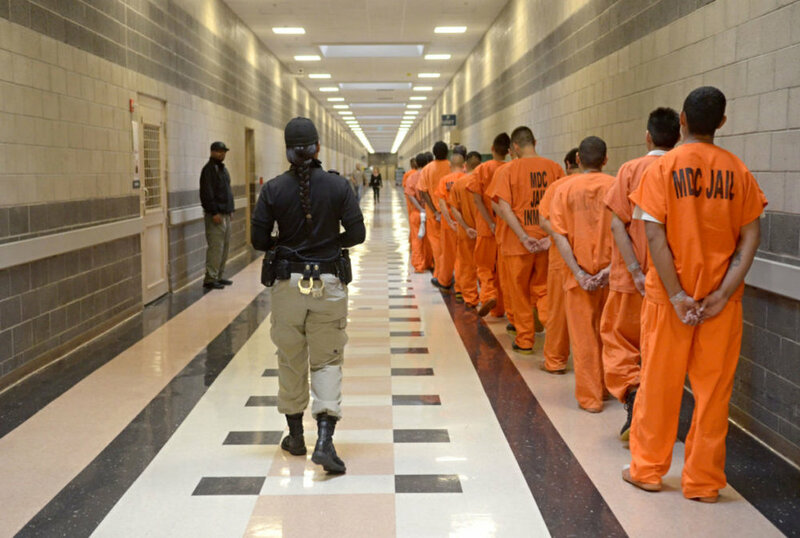 We mustn’t nickel-and-dime juvenile justice programs as we’ve done in the past. Instead, let’s make a commitment to a comprehensive working program. There is a model for such a program that was extremely effective, with an 8% rate of recidivism two years after release. This was at the Boys Industrial School (BIS) in Topeka Kansas in the middle 1960s. I was a clinical trainee there for a year and later served as the Chaplain at the Pennsylvania Youth Development Center (YDC) in Philadelphia for two years. The contrast between the two programs was as startling as the results were divergent. The rate of recidivism at YDC was in excess of 75%, but no one knew for sure. Part of the problem is that the staff there had little hope that they could accomplish anything useful, though they wanted to help. the school, psychology, social service, and custodial staff had the resources needed to do a quality job. The institution’s release control provided needed time to remediate many of the boys’ learning deficiencies; deal with a serious levels of anger, hurt, failure, disillusionment, and despair; make some changes in the home situations; and prepare them for re-entry (mainly dealing with the influences that brought them there in the first place). The key was that the youth were not released before they were deemed ready to be released. The importance of this can be seen by looking at the impact of the [misguided] Kansas state legislature that forced release determinations back to the courts. As a result, the rate of recidivism blossomed to 28% (private communication with the Superintendent in August 2004). Unfortunately, this resulted from financial pressures to move more kids through the system whereby kids are released when their beds are needed rather than they are ready. It doesn’t take a Wharton MBA to figure out how fiscally wrong is that notion. Release control is so critical because it takes time for any investment to show a return. In this case, it takes time for fundamental changes to occur. On entry, the boys were thoroughly screened and, for example, placed in classes at exactly their performance level. If the boy was reading at a second-grade level, he was put in an appropriate class and not in something at the tenth-grade level where he would predictably fail. This was one of the single most decisive factors in the Topeka model, and the enthusiasm for learning was awesome on the part of the kids. You listening, school boards? The second most critical factor was retooling their life skills, especially those behaviors learned primarily in (but not exclusively) low-income neighborhoods. Many of the boys had no sense of self or hope for their future. The process of helping them work through their past traumas and develop new ways of dealing with their environment was not easy but it was done. You can argue that comparing Kansas and urban Philadelphia is like comparing apples and oranges. Yet, a sufficient number of the Kansas kids were from equivalent low income neighborhoods. The 8% rate of recidivism in Topeka would probably track to the 15-25% range in Philadelphia or other urban communities with the same issues. The lengths of stay may give us a ball park estimate of a similar program’s cost elsewhere. In Topeka, it averaged from 12-16 months and in Philadelphia from 3-4 months. This suggests that we would have to increase the juvenile justice budget fourfold to have an equal impact. I know this is a huge amount of money, but it’s trivial in comparison to maintaining the status quo and having more police on the streets. The clincher in this discussion is the fact that many, if not most, of the boys in Philadelphia, went through the system several times, incurring roughly the same lifetime costs as they would have in the Topeka program. Getting the votes to do this would be a major uphill battle. Historically, there is a struggle between the schools of rehabilitation and punishment with nothing getting accomplished. There is also the faction that asks why should we provide “bad kids” an exceptional program and short change the rest of our public services. I wish I had the stats to back up to say – without a doubt – that this is by far the cheapest way to take a huge chunk out of crime, but I do not. Yet, intuitively, I am convinced that this program model can reap huge future savings in dollars and in reducing the tragic consequences of the boys who grow into men and continue their lives in crime.